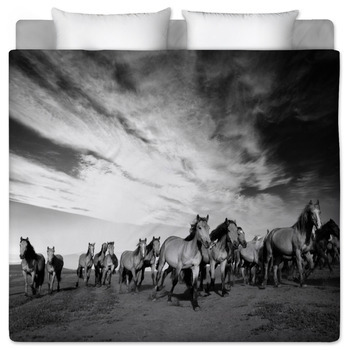 VisionBedding's horse design bedding is as inspiring as the steeds that adorn them and as stylish as they are unique. 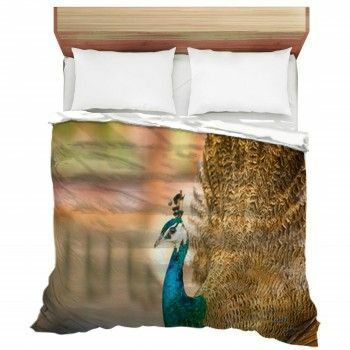 Custom bedding designs are all about setting your bedroom apart from any and all others. 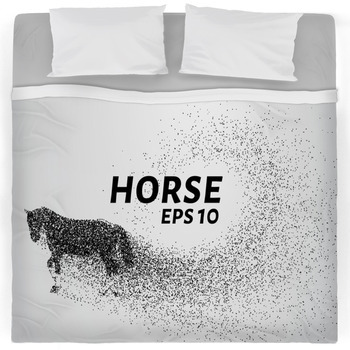 Our one of a kind horse themed bedding for adults will create a bedroom style unlike any other giving you the edge in horse decor. Our steed and stallion designs are far more than simply stylish as they can be customized to fit your very own decor needs. 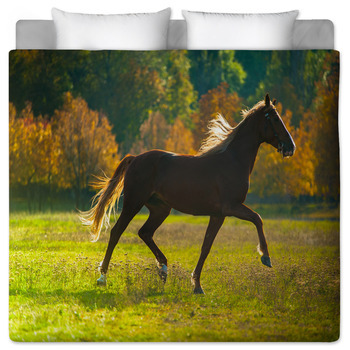 Coming in as wide a variety of styles as there are breeds our horse bed sheets will fit pretty much any style of bedroom. With a made to order comforter or duvet cover you can turn your bed into the centerpiece of a new pony themed room for your teenager or even your little toddler. 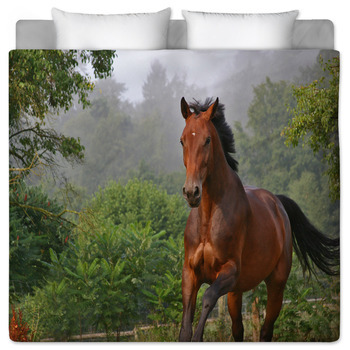 If it's elegance you're looking for a horse duvet cover or comforter can change the style of a bedroom in minutes. 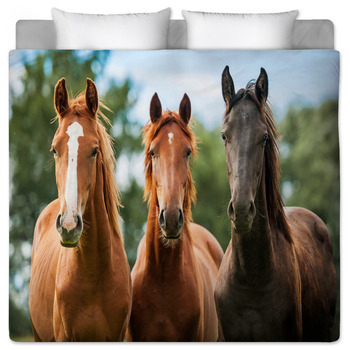 Whichever mood you're looking to create our exclusive horse comforters can bring everything from excitement to elegance to your personalized bedroom decor. 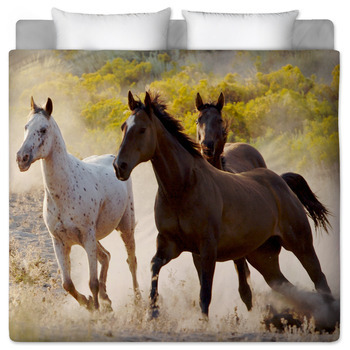 A custom horse bedding is also a great choice for any age, from toddlers to teens. 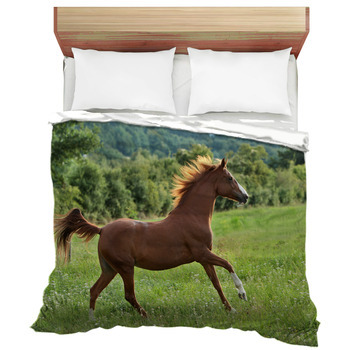 Even adults of all ages enjoy the appearance and quality these fine stallions bring to a unique bedding design. Of all animals only the horse has maintained its high status throughout history making it a lasting choice for a one of a kind bed. The variety of styles and ageless appreciation make unique horse bedroom sets a great fit when creating that distinctive personalized bedroom decor. 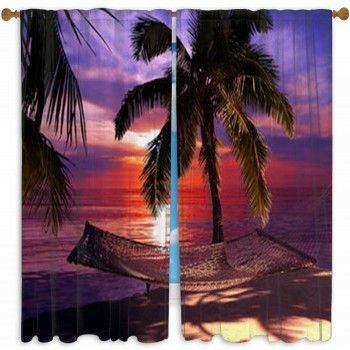 A personalized comforter or duvet cover is only the beginning. 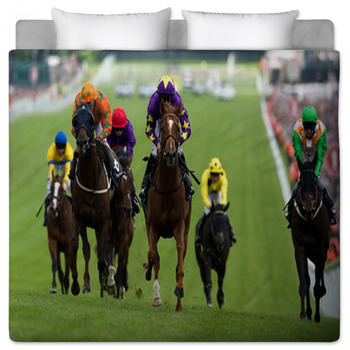 If you are into riding, we offer fancy equestrian bedding sets as well. They have dressage designs, or pictures of riding saddles. 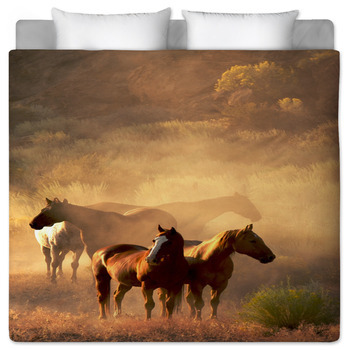 There is also bedding with horses on it, that is beautiful in any child's bedroom. Bring about a whole new bedroom style with a custom rug or pillows as well.